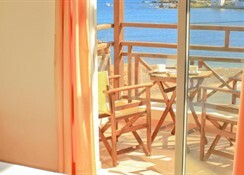 This is a cosy hotel providing modern facilities and hospitable services. It offers a reception area with 24-hour check-out service, a safe deposit facility and a chill-out bar. The air-conditioned establishment offers 48 rooms in total and further facilities include a newspaper stand, TV lounge, cafÃ© and lift access to the upper floors. 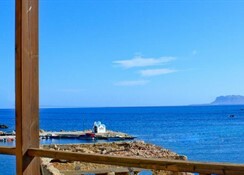 The Porto Kalamaki Hotel Apartments enjoys a quiet location in the resort of Kalamaki close to the famous beach of the caretta-caretta turtles on the island paradise of Crete. 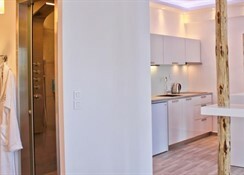 Resting about 4 km west of the city of Chania, this 2 Star complex invites guests to enjoy 20 comfortable studio and one-bedroom apartments with modern amenities, a pool snack bar, Internet access, ample parking, and friendly service with a smile. Getting to the Hotel: Hotel Porto Kalamaki Hotel Apartments is 19 km from Souda Airport and can be reached by taxi or bus service. Local Tips: The hotel is in a perfect position for visits to various museums and historical attractions like the Venetian fortress on the hill of the great Bochali view, dozens of churches with bell towers, the Piazza San Marco, where the populace rebelled and burned the Libro D'oro, and much more! 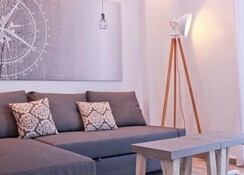 Dining: Porto Kalamaki Hotel Apartments is booked as Self-Catering accommodation with an option for Bed and Breakfast. 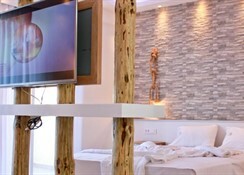 There is a breakfast room, café-bar, and pool bar with amazing events and traditional Cretan nights. The hotel restaurant serves a hearty breakfast and has an a la cart menu throughout the day. Activities: Swimming pool, sun beds and umbrellas, lifeguard, children's pool, scuba equipment on request, massage services on request, library with Internet corner, living room, TV room. Sea sports equipment and organized beach in very close distance. Additional: Reception, lobby, Wi-Fi Internet access, Internet service, doctor on call, room service, mini market, fax service, taxi calling service, bus stop outside the hotel, car and motorcycle rental, and free parking. 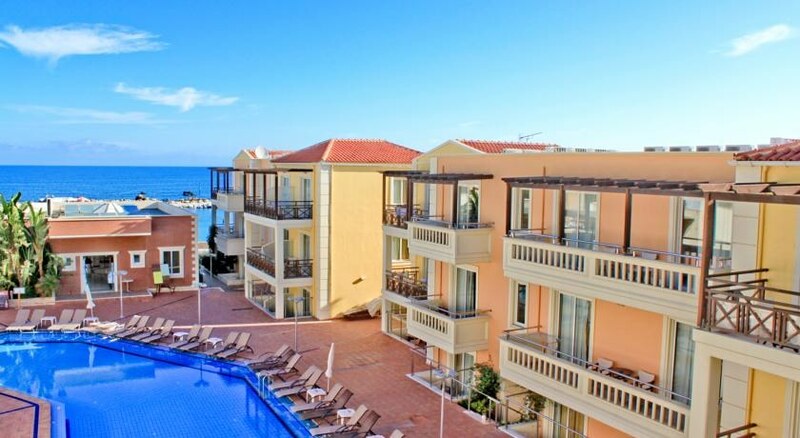 The 2 Star Porto Kalamaki Hotel Apartments features 20 double rooms (studios), with many amenities including Satellite TV and Wi-Fi Internet access and a view from the veranda to the garden, the pool or the forest. The apartment has one bedroom, bathroom, living room, veranda and fully equipped kitchen (electric kitchen, fridge, cooking appliances, serving utensils etc.) Air conditioning is available with extra charge, payable locally. Safe deposit box is available with extra charge, payable locally. Some services are with charge.